In the manufacturing and automotive sector more comprehensive service and automation solutions relying on information across the whole deployment chain will become predominant in the near future, ensuring the best availability and utilisation (asset management) of machinery worldwide. The implementation of such processes relies heavily on the rigorous employment of the latest ICT concepts. The main goal of InValue is to support these new paradigms by developing and demonstrating an open and shared integrated service platform that supports the overarching data management processes in today’s industrial domains across the whole value chain of information. The InValue platform will rely on existing standards while combining novel and integrated solutions for the content and knowledge management of heterogeneous information derived from various sources. This includes information acquisition and aggregation, representation, analysis and exchange between smart devices, automation systems, information systems and the involved stakeholders, like technical and management staff as well as suppliers and customer organisations. 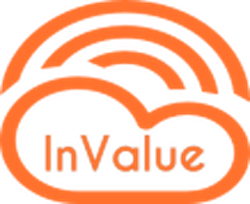 InValue enables companies to build specific applications upon a shared information architecture encompassing new relationships between business partners and customers, finally implementing the ‘boundless enterprise’ paradigm.